By Dean Stephens Last updated Jan 12, 2018 We may get a commission for purchases made via our links. Here's why. 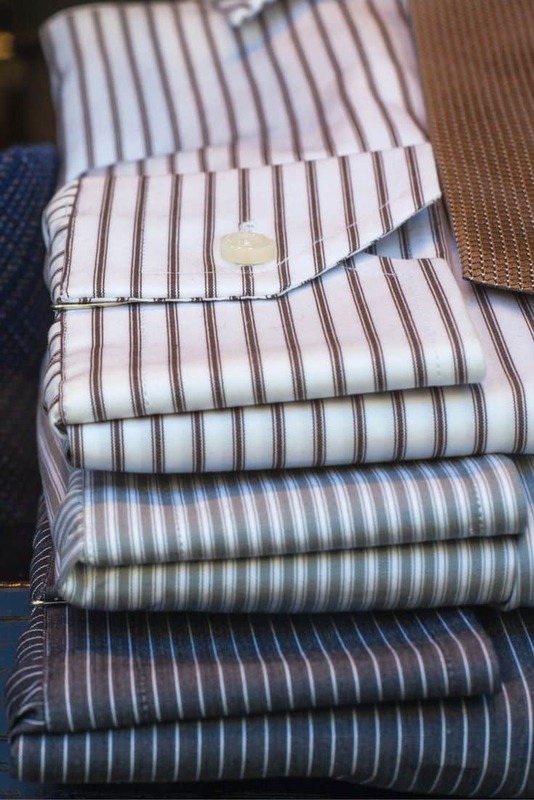 With great selection comes great responsibility, and this mantra extends to menswear and shirt fabrics as well. From poplin to oxford, herringbone to twill, end-to-end, and more, it’s now easier than ever for men to find a shirt in any type of fabric from traditional stores to online. The ability to discern and differentiate between these fabrics, however, is what separates the men from the boys. We break down what it all means in an effort to grant men the power to make their best sartorial statement yet. 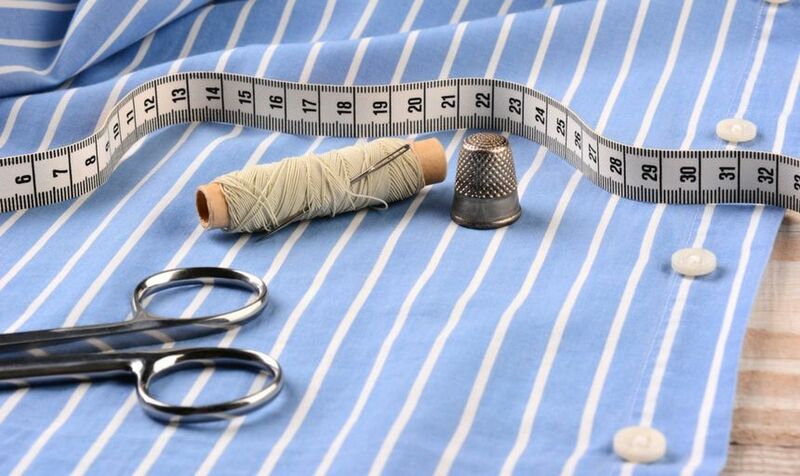 Before deciding on a fabric that best suits you, it is first important to know the essentials to creating shirts. A yarn number indicates thickness in fabric, with thick fabric having a low yarn number and thin fabric a higher number. Alternately referred to as broadcloth, poplin is thin and breathable, making it a great fabric to wear underneath jackets or blazers. As a thin, soft, long-lasting fabric made from weaving fine yarns, it is able to retain its smoothness when ironed, creating a polished look for an evening out. Warmer than poplin and not as breathable, twill is a soft fabric that features a distinctive diagonal weave design that can be easily worn under a jacket. Wrinkling can be a problem when wearing twill, and stains can be more difficult to remove. Its softness, however, makes it a popular choice for many men. Varying widely in width and angle, herringbone weaves are created using twill fabric that has been woven to produce a distinct alternating diagonal design. As a fabric that stands out, herringbone works best under a jacket that is minimal in pattern and texture. For a look that is decidedly more casual that either poplin or twill, Oxford is a thick fabric produced by weaving thick yarn in a basket weave. As a preferred option during the colder fall and winter months, Oxford is ideal for casual shirts for that polished, refined look. As a thinner option to twill or oxford fabric, pinpoint oxford is versatile enough to wear with most outfits. The unique texturing of pinpoint oxford is produced with fine yarn in a basket weave, and its breathability and warmth are added benefits that make it a popular choice for men that want more selection in their shirts. Woven in a basket or alternately diamond-shape, these oxfords are a thinner option to regular oxfords but provide similar thickness to pinpoint oxfords. Soft to the touch, warm, and easy to iron, these three types of oxfords are the perfect complement to a dressed down, informal event. 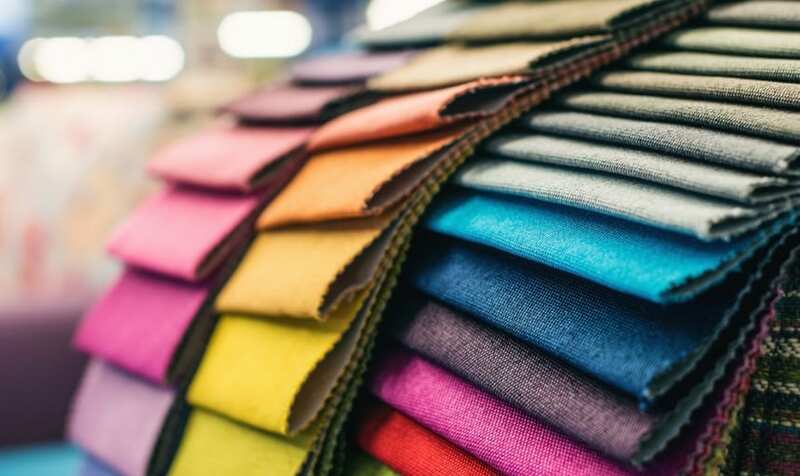 For men that desire a fabric that offers high durability, breathability, and softness, end-on-end (also known as fil-a-fil), is produced by weaving alternating vertical and horizontal yarns. Its heathered effect makes it very similar to poplin but with more visual pop, making it versatile enough to wear to casual events or more formal affairs. 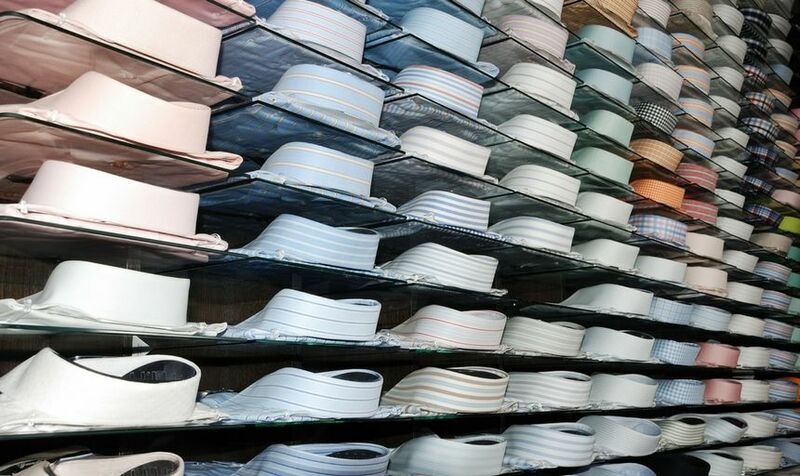 With so many options available, every man can find the perfect combination that speaks to his personal style aesthetic. From casual to formal, the selection of shirts that can be sought with confidence has expanded beyond simply poplin vs twill or twill vs oxford. 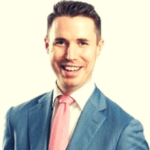 Combine your favorite white or pink dress shirt with the growingly popular blue suit and brown shoes combination for a crisp modern look. Can you give examples with actual picture of the shirt weave to make easy for non-technocrats to understand ? Thanks for the comment. Us fellow non-technocrats will be updating this shortly!